(CN) – Nearly a quarter of Americans get their drinking water from systems that don’t comply with federal health standards, according to a report released Tuesday by the Natural Resources Defense Council. The council’s 26-page report says a combination of a deteriorating infrastructure and lax enforcement by both federal and state regulators leaves several communities vulnerable to consuming water teeming with various contaminants. “America has a drinking water crisis,” study co-author Erik Olson said. 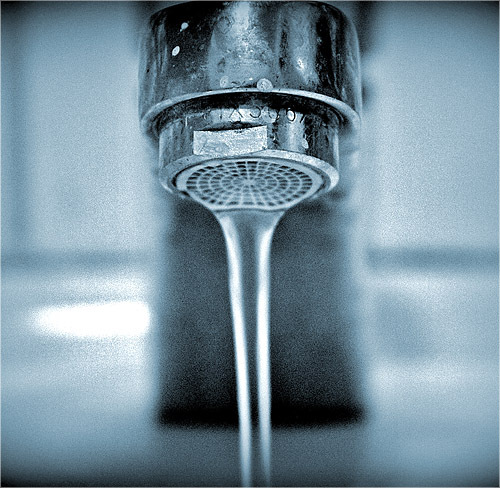 Olson and his cohorts at the council insist President Donald Trump and his administration will only exacerbate the nation’s drinking water problem, highlighted most recently by the crisis in Flint, Michigan. “Donald Trump will pay lip service to keeping drinking water safe, but his budget proposal shows a different set of priorities,” said Jamie Consuegra, a legislative director for the environmental organization. The crisis in Flint began in 2014, when city officials switched to using the Flint River. The city also used old, decaying lead pipes – leading to widespread lead contamination among residents. Ingesting lead can be detrimental to human health, with particularly hazardous impacts on the brains of developing children. The council’s report makes the case that rather than an isolated incident which can be chalked up to the particular incompetence of a limited set of city officials, Flint is representative of a more general crisis. In 2015, about 77 million people received water from some 18,000 water systems that were in violation of at least one rule stipulated by the Safe Drinking Water Act. Some of the violations include not doing mandated testing, failing to issue consumer-confidence reports or a failure to report various issues identified during the testing process, the report says. But more serious violations are also widespread. The authors analyzed data provided by the U.S. Environmental Protection Agency showing approximately 12,000 health-based violations affecting about 5,000 community water-distribution systems serving some 27 million people. Health-based violations involve instances where a contaminant is found in a water supply beyond what is allowed under federal health and safety standards. Some of the contaminants – including lead, nitrates or pesticides – can impact childhood development, while others like arsenic are known carcinogens. Other problems include the presence of bacteria or microbial material in drinking water. “The problem we are facing is that this mostly affects rural areas,” said Mae Wu, a senior attorney with the council. Smaller water systems are often not financially or technologically equipped to upgrade aging infrastructure unable to filter out contaminants. The solution put forward by the authors is to invest broadly in water infrastructure, replacing old pipes and building new cutting-edge treatment facilities that ensure healthy water for residents. The American Society of Civil Engineers recently released a report giving the United States’ water infrastructure a D+, saying only a significant overhaul will bring it up to a respectable level. Infrastructure projects could be an economic boon, creating jobs while assisting public health, the group said. But Money also needs to be allocated to enforcement of violations, according to the study. Only 2 out of 10 health-based violations resulted in formal enforcement by EPA or state agencies, the authors say. Olson says the problem is money, and noted the EPA does not have a line item in its budget for drinking water violation enforcement. That problem figures to get worse as Trump has called for drastic cuts to the EPA. “The budget proposes to cut the department by 30 percent in a single year, which is higher than any other department,” Consuegra said. The cut will likely lead to a 20 percent staff reduction, including about 200 of the drinking water enforcement officers. “With lax enforcement, you get less safe water,” Consuegra said. Texas led the nation with the most health-based violations, affecting 4.9 million people. Puerto Rico, which has major Safe Water Drinking Act compliance issues, came in at second, followed by Ohio, Maryland and Kentucky.